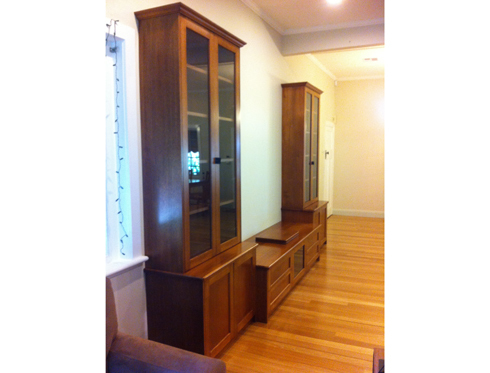 This wall unit is made from Tas Oak and includes entertainment features as well as bookshelves. 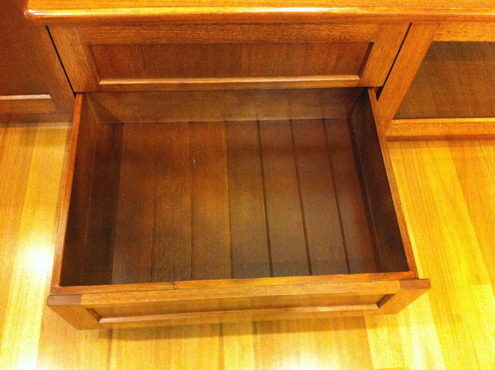 Consisting of media drawers, general storage and top bookshelves it is a very practical pieces of furniture. 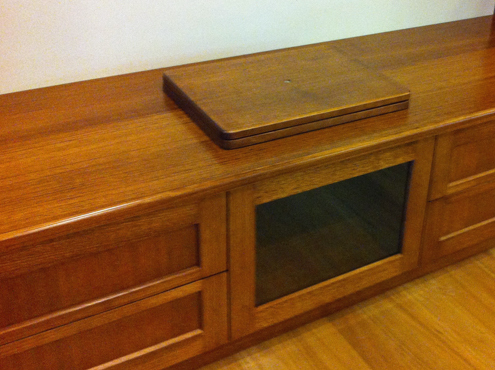 It also has a TV swivel to position the TV as required. 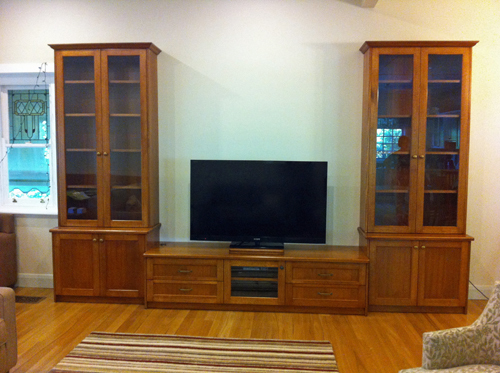 It has been finished in a custom umber stain and 2 pack satin lacquer.